There may be times where users may find themselves in situations where they would need to download HTML5 videos from online video sharing platforms like YouTube, Dailymotion, etc. in Ubuntu. Whether the reason is leisure or a work-related project that requires a reference video, tutorial or lecturer, knowing the best way to do this proves to be helpful. In the following article, we aim to explore the different ways to download HTML5 videos in Ubuntu. These ideas may also work in similar Ubuntu-based Linux distributions. Mozilla Firefox is a robust web browser and is included in most Linux distributions by default. With the help of a Firefox Add-on called Video DownloadHelper, downloading videos from online platforms such as YouTube becomes as simple as two clicks of the mouse button. 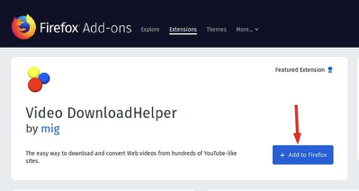 Users can avail this add-on via the Video DownloadHelper plugin. Once the add-on has been installed, users should be able to see it on the top right-hand corner of their Firefox browser window. When a video is now played back using an online video platform like Youtube or Dailymotion, users will notice the plug-in change in color. This denotes that the plug-in has identified videos that can be downloaded. Users will see a variety of options for downloading the video. Videos of lower quality will be of smaller file size. Clipgrab is available for various other Linux distributions in addition to Ubuntu based distributions like Elementary OS, Linux Mint, Pinguy OS, etc. Clipgrab can be used to download videos from a variety of popular video hosting platforms including YouTube, Vimeo, Dailymotion, etc. Apart from that, Clipgrab lets you download any video that gets rendered on an HTML5 video player. 4K Video Downloader is similar to Clipgrab. Users need to paste the video's URL, choose the type of video file and its quality and click the download button. Popular video hosting platforms like YouTube, Dailymotion and Vimeo are well supported. 4K Video Downloader works well with various Linux distributions in addition to Ubuntu based distributions like Elementary OS, Linux Mint, Pinguy OS, etc. Though youtube-dl is a command line tool, it remains straightforward to use and presents users with different configuration options. For basic usage, users can execute a command in terminal similar to ‘youtube-dl URL.' This will download the Youtube video in question with the default configuration. By default, downloaded files are stored within the Home directory. Understandably, the name can be deceptive since it contains ‘YouTube.' However, the tool supports video download from a host of different websites such as Facebook, Dailymotion, and Vimeo. 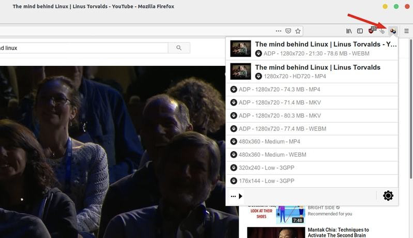 Youtube-dl is available for various Linux distributions in addition to Ubuntu based distributions like elementary OS, Linux Mint, Pinguy OS, etc. YouTube is indeed a powerful tool. In addition to videos, the tool can also isolate and download only the audio files from videos, the complete playlist or videos in different qualities. You can also use this tool to download videos from YouTube (in addition to other sources). Users who have recently migrated by Windows to Linux might tend to select XDM since XDM has an interface that is similar to Internet Download Manager (IDM). Resume Capability - XDM resumes any downloading. Users need to select the video and click resume. In case the download URL has expired, XDM will provide the user with an option to refresh the URL. Force Assemble: Force Assemble is a feature in XDM designed to deal with the problem faced when coming across the message ‘Files could not be assembled' on the completion of a download. This is us a useful option to assemble all the different downloaded parts. 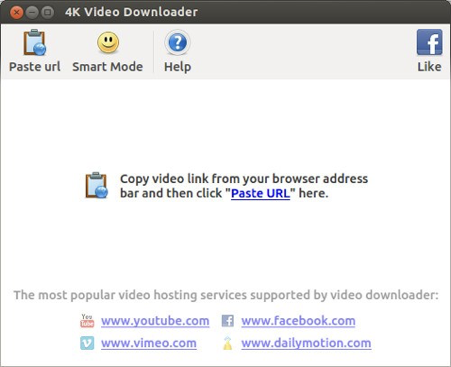 YouTube Video Downloader: Once users have installed XDM, they do not require any other YouTube downloader for Linux since XDM has inbuilt features that enable users to download YouTube Videos. Users need to copy and paste the URL of the video and choose the video quality of their choice and click download. Browser Integration: XDM can be wholly integrated with modern browsers like Google Chrome, Mozilla Firefox, etc. XDM can be easily installed from Noobslab PPA via the following commands. Persepolis is a free, open-source software that is a GUI used for the aria2 protocol. Persopolis is a cross-platform download manager and can be used with MacOS, Linux, BSD as well as Microsoft Windows. Downloading videos from sites like Dailymotion, Vimeo, Youtube, and similar platforms. Resume Capability: uGet also comes with resume capability and can resume paused or stopped downloading. Creating a Queue: In case users need to auto-start some of their downloads, they only need to create a queue of those specific downloads and start the queue. uGet will now download all the queued media files one after the other. Clipboard Monitoring: The system tray icon in the uGet system monitors the system and flags every URL that has been copied onto the clipboard. Users can copy multiple URLs and click the ‘New Clipboard batch' option within the uGet system tray icon. Scheduler: uGet's Scheduler feature enables users to schedule downloads and specify the time they should start downloading. The latest version of uGet can be download quite easily via the official PPA. IT can also be installed through the Software Center in Ubuntu; however, the PPA will contain the latest stable version of the software. Another open source and free downloader is MultiGet. It has an easy to use GUI and contains all of the basic features a user may need when attempting to download HTML5 videos for Linux. Resume Capability: Like the others on this list, MultiGet also has support for resuming any paused download. Clipboard Monitoring: MultiGet monitors clipboard. This means that if the user copies a URL while MultiGet is running, the tool download manager will prompt to a file or anything else from the copied URL. The tool supports HTTP and FTP protocols. MultiGet supports multi-task with multi-thread. It also supports SOCKS 4, 4a, five proxy, FTP proxy as well as an HTTP proxy. Though MultiGet has some additional features, the drawback is that MultiGet can lack stability at times. While all of the download managers, browser add-ons and tools have certain basic features in common, their advanced features tend to differ in some cases. The suggestion here would be to analyze all of the features and install the one that seems to have all of your bases covered.